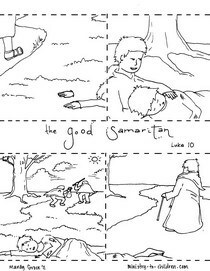 Click above to download the main Good Samaritan coloring page. 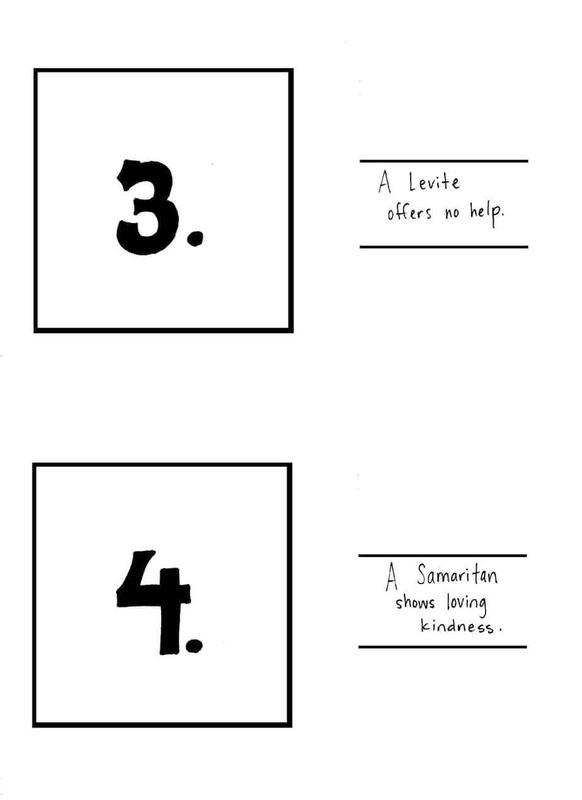 This free printable will help you teach the parable of the Good Samaritan to your children. 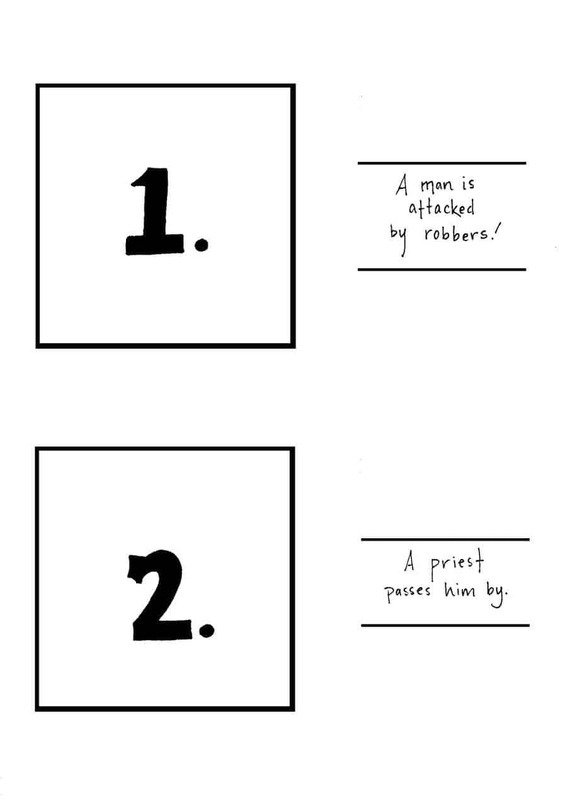 It’s a sequence Bible story activity using simple illustrations. Jesus taught about this man in Luke 10:25-37 as an example of loving your neighbor. His original audience would been socked that the foreigner was a better example of God’s love. Directions: There are three files to download for this activity. For each simply choose if you want the easy to print PDF version or the higher resolution jpeg for customization. 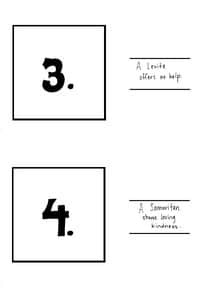 The first is the main picture sheet (pdf | jpeg) that has the four scenes from the Bible story. Then there are sequence sheet one (pdf | jpeg) and sequence sheet two (pdf | jpeg). 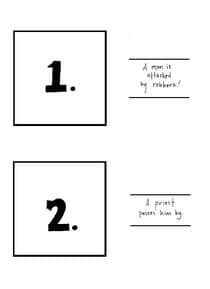 Clicking on any of these preview images will download the printable PDF version. 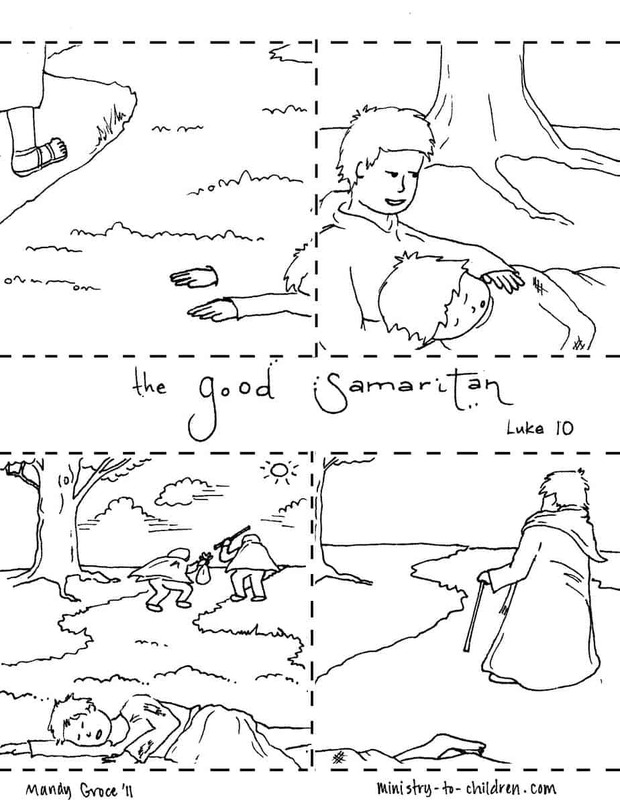 These coloring pages could be given to your Sunday School class as a learning activity. If your time is limited, you may simply use them as teaching illustrations and allow the children to determine the order as a learning review. Tip: Printing off the numbered sheets on lightly colored paper makes a nice frame effect for the finished storyboard. Tony Kummer (Editor) reviewed & updated this page on : January 22, 2015 at 9:20 am. All our content is peer reviewed by our readers, simply leave a comment on any post suggest an update.